The F3 Fairbanks Film Festival is an event held each year. Submissions are accepted from Alaskan filmmakers all over the state and the winners of each category are shown at the festival which is a combination awards show & screening. 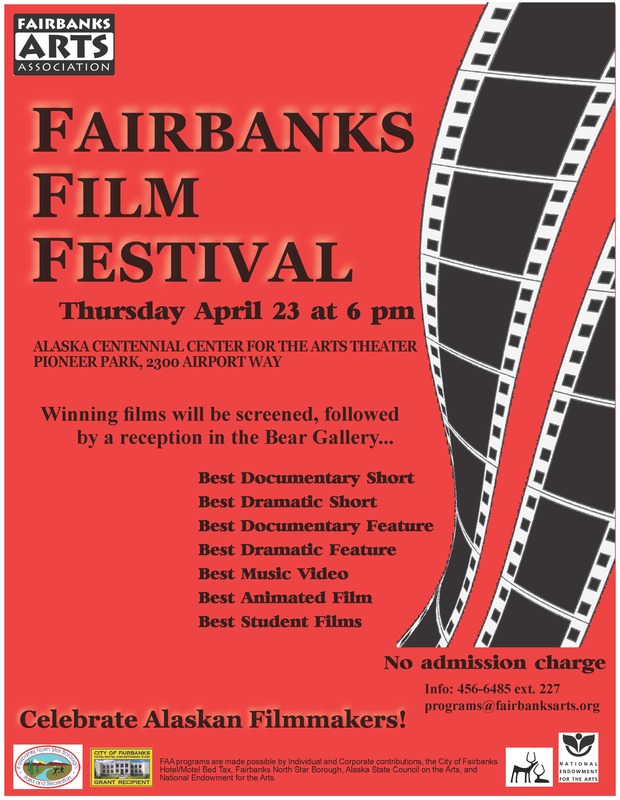 Fairbanks Film Festival 2015 is April 23, 2015!